Cosmetic: Ready to make your vehicle stand out? Many of our available Ford accessories can enhance the looks of your vehicle. Items like shift knobs, interior lights, wheels, and more can help you get your vehicle looking exactly how you like it. Interior: With our help, you can prep your Ford’s interior for your driving habits. Seat covers, all-weather floor mats, and more are available. Practicality: Improving utility is a major goal for many drivers. With our bed liner, roof rails, bike racks, and other products, your vehicle can be ready for all sorts of activities. The parts center at Stillwell Ford can help Ford drivers around Hillsdale get the accessories they want and need. Submit your parts request online or chat with a member of our parts center staff to get a hold of the accessories you’re after. When you go looking for your next car, you’ll find a wealth of options waiting for you. What you may not expect, however, is just how much value you can find when you decide to shop from your local dealership’s used inventory. At Stillwell Ford, you’ll find a selection of used cars that deliver great features, premium comfort, and high performance for less. Perhaps the best part? 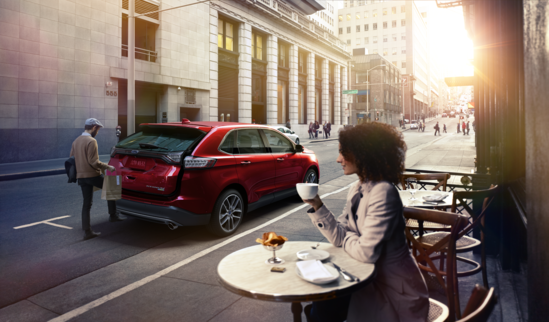 You’ll find more than just Ford-brand cars at our dealership. When you visit our location, you’ll find a diverse array of vehicles that include everything from Dodge, Chevrolet, and Jeep to luxury brands like Cadillac, Lincoln, and more. Whatever you’re looking for, our expert sales team can point you toward excellent options that will satisfy your needs. Why Should You Consider a Used Car Over Something New? Some people get peace of mind from driving in a new car that’s never had another driver. Others prefer knowing that their car payment isn’t going to break their budget. If you’re in the latter category, buying a used car might be the right choice for you. That’s especially the case when you buy your used car from Stillwell Ford in Hillsdale, MI. Our used vehicles aren’t just affordable, many of them are recent-year and packed full of modern features that are comparable to what you’d find in something brand new. More importantly, our used vehicles are dependable. Our service center goes the extra mile to make sure you’re driving home in a well-maintained car that provides the value you deserve. What Sort of Used Vehicles do We Carry at Stillwell Ford? You’d get a faster answer by asking what we don’t have. Stillwater Ford is proud to play host to one of the most diverse selections you’ll find in our area. It doesn’t matter what you’re looking for. Our used vehicles include enough makes and models to satisfy drivers of all varieties. It doesn’t matter if you’re looking for a sedan, coupe, SUV, truck, or minivan. We can guarantee you’ll find a vehicle that delivers a driving experience that makes you happy. Cars and sedans have long been the preferred vehicle type of many drivers. If you’re in the market for a used sedan, you’ll find no lack for great options at Ford Stillwell. These include some of Ford’s own top models like the Ford Fiesta, Ford Focus, and Ford Fusion. If you’re interested in other bands, however, you’ll also find great cars from automakers like Chrysler, Lexus, Lincoln, and more. Are you looking for an affordable way to get behind the wheel of a recent-year Chrysler 200? Our used inventory might have exactly what you need. A great truck can bring a level of performance and ability to your life that few other vehicles can match. Luckily for you, you’ll find some of the industry’s best pickup trucks available in our used vehicle inventory. These include market mainstays like the Chevrolet Silverado 1500, Ram 1500, and more. We also, of course, have a wide selection of used trucks from Ford. The Ford F-150 is one of the best-selling trucks on the road, and our inventory has plenty of recent-year models that deliver modern features and high performance. These trucks offer some of the best prices available on an F-150 in our area. Is a great SUV what your life demands? Spacious, comfortable, and versatile, a good SUV can be the perfect vehicle for everyone from family drivers to off-road adventurers. If you’re looking for a bargain SUV, you’ll find a lot to love in the used options at Stillwell Ford. Our used inventory can offer you rugged vehicles from the Jeep lineup, including the Jeep Wrangler and Jeep Grand Cherokee. Renowned for their go-anywhere-do-anything designs, they provide a renowned level of ability in a wide range of terrains and conditions. Our sales team can also show you excellent SUVs from brands like Buick, Cadillac, Chevrolet, Honda, Toyota, and more. Have you had your eye on a Nissan Rogue or Pathfinder? Get a great price on a used one at our dealership. Our used SUVs, of course, also include a bevy of great choices from the Ford lineup. 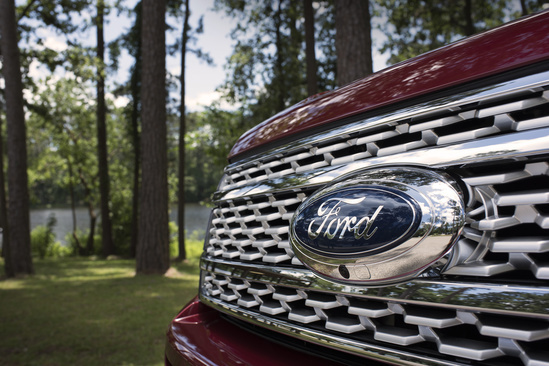 Many drivers consider the Ford Explorer to be a trailblazer that helped make SUVs the popular segment that they are today. If you’ve ever wanted one of your own, you’ll find affordable options waiting for you here. If you feel like a visit to Stillwell Ford is in your future, give us a call before you stop in. Our sales agents can help you hone in on the features that matter most to you in a car. That way we’ll better equipped to direct you to a vehicle you’ll love when you get here. We can also help you get set up with a test drive, and help you with any financing you might need. Our team is dedicated to giving our customers a first-rate experience, no matter what they’re looking for. Don’t hesitate to get in touch with us today to get the ball rolling. Drivers from all over the greater Hillsdale, MI area and beyond have already fallen in love with the Ford F-150 – and have loved it for decades already! – but it’s definitely a confirmation of excellence when the experts at Motor Trend make not of it! Specifically, the 2018 F-150 has earned the 2018 Motor Trend Truck of the Year award and we simply could not wait to share all the news with you. Let’s take a look at what this means for the F-150. While there’s no denying how awesome the F-150 is, we were surprised to find that the decision to name it as the truck of the year was nearly unanimous! In fact, the road test editor at Motor Trend, Chris Walton, even said, “It was a pretty resounding win. Nothing really came close.” If that’s not an overwhelming victory to be proud of, we certainly don’t know what is! To get the full gamut of the F-150 experience, the Motor Trend experts were given four variations of the truck to drive around in: the XL 4×2 Supercab, the Lariat 4×4 Supercrew, the Platinum 4×4 Supercrew, and the Raptor Supercab. Spending time on roads and in a quarry alike, they pushed these pickups to their limits just to see how they handle the pressure, and the results speak for themselves. After all that driving, they found that they loved the exceptional quality of the interior with all its updated materials, the more user-friendly and easy-to-use infotainment system, the improved steering and handling, and the fact it earned a five-star safety rating from the NHTSA. No matter which model you go with, they’ll all be winners. Interested in learning more about the F-150? 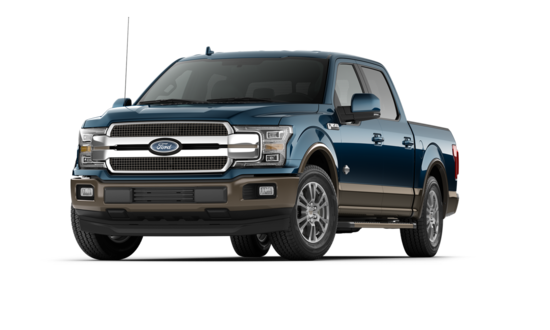 Come out to visit us here at Stillwell Ford Lincoln today and we’ll show you the F-150 among all the rest of our new Ford models. With a sensational selection like this, your satisfaction is surely just around the corner.